Experience the exquisite pleasure of sailing around Turkey’s stunning Lycian coast in the privacy of your own traditional Turkish Gulet. We offer private charter and villa rental packages, giving you the opportunity to appreciate the dramatic beauty of this stunning region both on land and at sea. Far away from the crowded beaches of mass tourism, sail to secluded bays that are inaccessible by land where you can swim, or snorkel in the warm crystal clear waters of the Mediterranean in beautiful surroundings. Visit sites of archaeological interest, relax on the deck with a book, play backgammon, worship sun, enjoy delicious Turkish cuisine with a glass or 2 of Raki, or just marvel at the beauty of your surroundings as they glide by. * Meet at 10:00 o’clock at the old yacht harbour. * Our cruise will start on the deep blue waters of Mediterranean. * Our first destination are the small Ka? Islands, the nearest islands to Meis,, the Greek Island of Castalorizo. 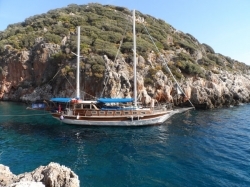 This place is one of the most important diving destinations of Turkey. We will take a swimming and snorkelling break here for an hour. These islands promise unforgettable moments on the cleanest and most turquoise waters of Mediterranean for swimming lovers. Here, you can also snorkel and see an Italian sunken warship from WW2. * After our break at the islands, our next destination is Ufakdere bay. The delicious meal from our Mediterranean kitchen will be waiting for you after you have relaxed by swimming or reading 45 minutes later. * After a delicious lunch, our next destination is Güvercin island. There is a small sea museum, during our break you can visit the shark monument or enjoy the Mediterranean waters. * After hours of relaxing, our cruise will end at 18:00. We start our tour on turquise waters of Mediterranean. Our first route point is Maradi island. During 45 minutes of snorkeling break in bay between two islands, you can discover the beauties in deep sea. After Maradi island break, our next destination is Blue Cave. During our 30 minutes break there, you can swim in turquoise waters of cave. After leaving Blue Cave behind, our next destination is one of the most important beaches of the world, Kaputa? Beach. During our break there, you can swim or enjoy the sun in this nature miracle. Then the lunch hour comes. The delicious meals of Mediterranean kitchen will be waiting for you. After a delicious lunch, Besmi island will be our other destination. After a 30 minutes of swimming break there, we will offer you tea and cake at Limana?z? bay and then our tour will end in Ka? Harbor at 18:00 o’clock. 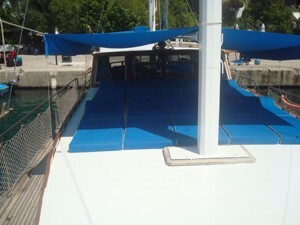 Our tour on deep blue waters of Mediterranean will start at 10:00 o’clock. 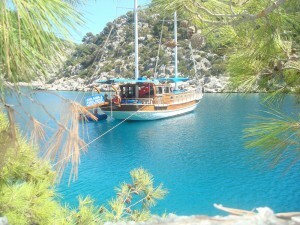 After 45 minutes of cruise, our first destination is ?nönü bay with its secret beach and cave. During 30 minutes of swimming break there, you can enjoy the Mediterranean water and enter into cave. After the fascinating swimming break at ?nönü bay, our next destination is Akvaryum bay. After 45 swimming minutes at that bay in entrance region of Kekova island, delicious meals from Mediterranean kitchen will be waiting for you. After a delicious meal, our Bat?k?ehir visit will start. Swimming is forbidden in this region but you can take a tour on land and see historical ruins from Lycia, Roman and Byzantine periods. Leaving Bat?k?ehir behind, our next destination is Simena. There we will have a break for an hour. During our break; you can visit the byzantine castle, different Lycia tombs and then taste handmade ice cream. After leaving Simena, next destination is a little fishing village, Üça? ?z köyü. After kings’ tombs visit there, our next destination is Ya?l?ca bay. After swimming break for 45 minutes at those canyon-like bay, we will offer you tea, cake and fruit. After Ya?l?ca bay, we will complete our daily tour at Ka? harbor at 18:00 o’clock. Day 1: Aperlai, Ya?l?ca, Kocakad?n Bay. Our first destination is in Aperlai historical city. This is a city of history which you cannot see during normal tours. You may have a short city tour after your meal in this bay. When leaving Aperlai, our next destination is Ya?l?ca bay with incredibly clean sea like a canyon. After a swimming break, we will offer you tea and fruits. After the Ya?l?ca bay, our next destination is Kocakad?n bay. Kocakad?n bay has a story and captain will tell this story to you. Day 2:Tersane bay, Bat?k?ehir, Simena, Üça? ?z, Gökkaya. 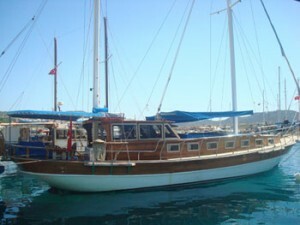 After our breakfast at Kocakad?n bay, we will be sailing to Tersane bay. This bay which was used as dockyard by Lycians is visited by hundreds of visitors daily. After Tersane bay, our Bat?k?ehir tour will start. This city was submerged as a result of great earthquake and there are many historical structures belonging to Lykian, Roman and Constantinople periods. After Bat?k?ehir, we will have a break for an hour in Simena. You may visit the byzantine castle there. After Simena, our destination is Üça? ?z bay, old fishing village and new tourism star. After Üça? ?z bay, the natural bay of Gökkaya is on our route. Gün 3: Pirate Cave, Karalos bay, Eleksi island, Limana?z?. After the breakfast, our Pirate Cave will start. You will love this natural miracle cave. The next destination in our route after Pirate Cave is Karalos bay. After a meal in this bay behind Kekova island, we will sail to Eleksi island. The clean waters of this island is very suitable for snorkeling and fishing. Our guests can catch a fish if they want. After our stop in Eleksi island, our next overnighting destination is Limana?z? bay. Lie back and relax and top-up your tan under an azure sky as the world drifts by. PRICES INCLUDE THESE; Meals (breakfast, lunch, 5 o’clock tea, dinner), Harbor costs and exit procedures, Sailing license and travel agency costs, Moorages. Crew service. Water for use.asoline and diesel costs. Bedclothes and bath towels. Moored in a perfect bay Sail to perfect secluded bays where you can swim, snorkel or canoe in the warm turqoise waters of the Lycian coast. Sail to Kalekoy and Simena with its ancient castle that offers both historical interst and panoramic views of this stunning coastal region. Sunken city of Kekova Marvel at rhe sunken city of Kekova, canoe along the coastline and views the ancient city that now sleeps beneath the Turquoise sea.